who embroidered moon fall, fell upon me at dawn. from too much earth, some choked in vines. A buried harvest sizzles, shushing, hushed—still mine. Donna’s recent publications include The New Ohio Review, Sanskrit, The Place That Inhabits Us, Poems of the Bay Area Watershed, The Paterson Literary Review, Praxis, and Eclipse. She won the Tiny Lights Flash competition, 2010. Chapbooks include This Water, 2007, Body Rhymes, Finishing Line Press, 2009, nominated for the California Book Award, and Wild Mercy (Finishing Line Press, 2011). Donna is Events Chair at the Marin Poetry Center, San Rafael, CA. 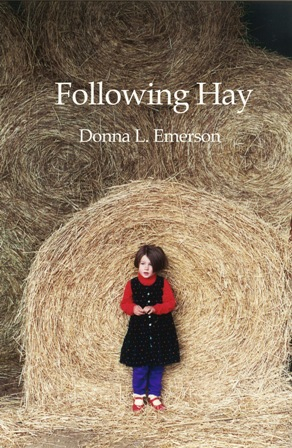 Donna’s fourth chapbook, Following Hay, will be published by Finishing Line Press, November, 2013.